Do you ever get sick of paying $8 or more for 1 rotary blade? I know that I do. 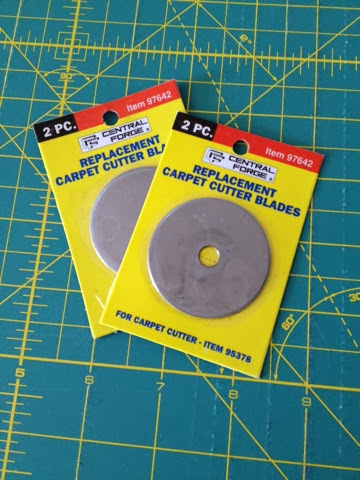 Even with a coupon at the local craft stores rotary blades will cost you a $5 dollar bill. If you have a +Harbor Freight Tools (OFFICIAL) head on over there when you need new blades. They are in the carpet section of the store. They come in packs of 2 and are around $3. I love saving money. Especially if you combine saving money on buying blades with sharpening your blades with tin foil. Its Money in the Bank!